This morning started like every other morning except for the fact that I noticed a strange email from myself to myself (work email). It seemed that I had emailed myself and a few other people that started with “B” from my address book. First response? Oh crap, my gmail account was hacked. Sure enough, a few minutes later as I logged into my account I saw about 20+ emails. Half were mail delivery failures and the other half were all my wonderful friends informing me that I sent something in error or the simple truth I already knew which was my account was compromised. Thanks to a quick Google/Twitter search, I saw that I was not alone in the matter. Therefore, I wanted to provide some details on what I did to minimize the issue overall. First, I tried to see the extend of the breach in my gmail. Based on the emails that I saw, it seemed that the hack essentially spammed my entire contact list (about 250+ people). I quickly emailed my first group of people (family as I just didn’t have the best faith for them not to click on anything I sent). Then I selected my entire contact list and began to compose a generic email to the masses. Hopefully I could catch enough people in time before they clicked on the link. I didn’t get to everyone in time but most people were, thankfully, aware of what the email could have been so they ignored it (probably like they did for any other legitimate email I had sent them before). With email sent, next item on the list was to change my password. Yes, as a “security professional” I know that I should change my passwords every 90 days and make them difficult to guess. I had the second part of that requirement down. Just not the first. I had been using the same password since my first use with Gmail. Yes, I was asking for this to eventually happen. With my password changed, I took the next steps to see how I could prevent this further from happening. Here are some additional steps I took. These don’t guarantee that I’ll be hit again but at least it will help. How Can I Check if My Account Has Been Compromised? How To Change Password Recovery Options? What Other Gmail Settings Should I Review for Hacking? How do I setup 2 Factor Authentication? At the bottom of your gmail account, you will find information on the last known logged in session (last time someone accessed your account). If you click details, a pop up window will appear providing the last several locations where an account was accessed. I would suggest becoming familiar with this list so you know what is out of the ordinary. Google will inform you sometimes when an account was accessed outside of your normal locations, but you cannot always trust Google to catch it. In my case, when I looked at the list I noticed instantly that the location of Spain was listed. Not a normal location for me to access my account since I’m a standard US resident. Some of the locations may not be familiar to you but these could be based on you connecting to your account from a phone or some other means. This is why I stress to become familiar with this list. Because of the new Google toolbar, this was not the easiest for me to find at first. Maybe I was just frustrated by the terrible start to my day. On the top right corner of the gmail screen is a new Google bar. Click the cog. Passwords should be closer to the max number of characters that the password field allows. I.E. if it allows 6-8, then try to make a password closer to 8 than 6. The more characters and complexity of the password, the better. This step is important if you ever forget your password. 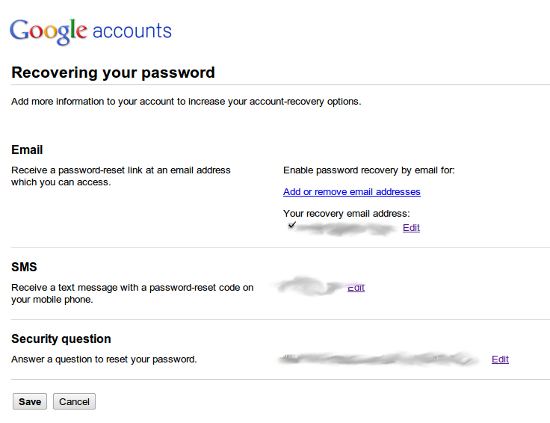 It is Google’s way of providing a secondary method for retrieving a password. From here, you are given 3 options: Alternative Email Address, SMS Messsage, and Question Response. I suggest using all 3 options given to you. Gmail has a few helpful settings for allowing one to control different areas of your account. However, these are areas that others can use as well once your account has been compromised. Verify that no new items have been added or modified under “Grant access to your account” and “Send Mail as”. Disable both POP and IMAP. Steps 5 and 6 are optional, but they can be potentially another way for someone to retrieve messages from your account. As I don’t use a desktop based program (Outlook, Thunderbird, etc. ), I don’t mind disabling these options. First, what in the world is two factor authentication? Well, it is another way to verify the person attempting to access a site is who they say they are. This is performed by requiring two forms of identification: 1) Something you know (password) and 2) Something you have (a code). For those corporate work professionals, you would be familiar with this through the use of RSA tokens. With Gmail, this means that when I login to my account from a computer, I provide my password and a code that is generated for me on my cell phone. It works even if I don’t have access to the data network and I always have my phone with me. I know what you are thinking though. I have to enter a new code every time I login? Well, yes, but you do have the option to tell the computer to remember you for 30 days. In 30 days I’ll need to enter a code again. Simple enough. Annoying at times, but worth it so I don’t have my account hacked and several high ranking bosses at work receive the spamming emails. 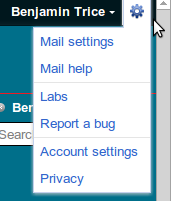 Click the “Using 2-step verification” link located under Personal Settings / Security (right side of the page). Follow the steps to setup 2 factor. They are pretty straight forward. Note: 2 Factor Authentication is not setup for all Google Apps (Picasa, Google Talk, Mobile Gmail, etc.). For these applications, you will need to setup application specific passwords. This is also very easy to do and can be found following the same steps above but click on “Authorizing Applications & sites”. With this change, you can revoke access to applications at any time which provides better security protection as well. Due to the positive feedback I have received from several readers for my previous work for Collabtive, I decided to take the time to perform a few more updates. These new additions are completely user facing as I discovered the emails were not as clear to all users as they could be. Here’s a quick view of how an email will look with the recent changes. The text will be different depending on who is receiving the email and the type of event that took place (create, edit, and close). A new task has been assigned to you. Task Description: Discover the best way to solve world peace and do it. Once the task has been completed, please login to the Collabtive system and acknolwedge the completed task by closing the task. For those interested, follow the instructions below to update your environment with these latest changes. If you have not updated your environment based on my information from my previous post, then perform those steps first before making these changes. 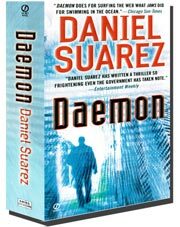 Download the files I modified on February 20th, 2011. Enjoy the latest updates and post comments if you have questions. UPDATE NOTE (2011-02-27): I just realized there was an error in the close task functionality and emails were being sent to the user that has an ID of 1. I’ve updated the code referenced in this post to include a fix for the getAssigner function. Please let me know if you run into any additional issues. With the recent addition of a few sister sites joining the Hero Inc. hosting family, I’ve needed a “ticketing” system in order to assist the admins of those sites in opening tasks for my sites and theirs. These tasks could be as simple as creating subdomains or email addresses for new users to building new images for the most recent posts. The “ticketing” system needed to be simple, easy to integrate, and of course free. After a few simple Google searches, I settled on Collabtive. 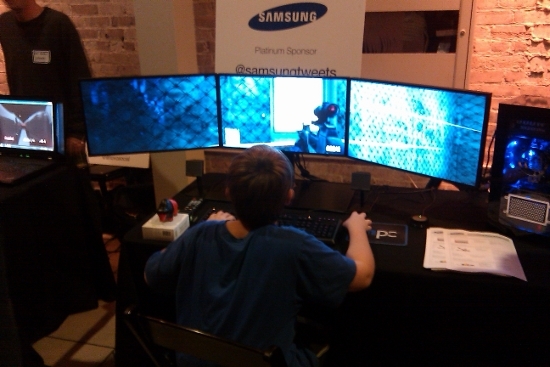 The install was simple and it ran on MySQL. I was fearful of much of the development and blog posts being in Italian, but Google solved this problem for me. After working with the Collabtive system, known internal to me as Hero Inc. PMS (yes, insert jokes and laughter here), I found it really did everything I needed. But earlier this week, I found one weakness. It did not notify the person assigning a task or those assigned to a task that it had been closed even when notifications were enabled. Google searches showed that I was not alone in wanting this feature added. With my minor coding background I decided to give the feature a shot. Thankfully the Collabtive team did an amazing job of organizing their code. A few code changes and corrective misspellings in my code later, I had the result that I wanted. Update the Collabtive environment to the latest release. At the time of this post, the latest version is 0.6.5. Update the Collabtive MySQL database to add a new column, “assigner”, to the “tasks” table. The “assigner” column should be of type Integer just as it is for the user ID. Update all tasks to contain a default ID for an assigner. This will ensure that when older tasks are closed or edited that Collabtive does not fail in sending notifications. Download the files I modified. That’s it. The environment is now setup to send the notifications as needed. I’ve tested the changes in my environment and didn’t have any issues. If anyone follows these instructions and encounters issues/bugs, please leave a comment and let me know. UPDATE NOTE (2011-02-20): I’ve made a recent update to my work stated here. Go here to read more about the latest change. Recently I wrote a post about the state of social media in my eyes and somewhat on the potential of many of the most popular outlets that exist for presenting many of the most mundane and daily activities. Within this post I didn’t paint a picture of love or anything stronger than basic like for Twitter. Let Twitter be my Facebook status update – I don’t like logging into Facebook because I’m lazy and often I just want to post a quick update without getting sucked in to seeing the latest updates from random people. I’d rather see updates from specific people instead of my entire Facebook social graph. I can follow those interest me – As I stated above, I want to have the control of who will provide updates to me. It can almost be compared to having a speed dial for life updates. Shortened Blog Posts – I have many ideas running through my head but never enough time to write them down for a complete blog post. Hell, I have about 10 ideas in draft for my site but haven’t sat down to finish them. Forcing me to stay under 140 characters makes things fast and easy. Connection to many regardless of status – I can connect to friends in the same way that I “connect” to celebrities. My celebs range from Leo Laporte to Conan O’Brien to Brent Grimes. By following them, I can stay informed on those that interest me without requiring them to approve my access. Access is granted where otherwise its blocked – I recently began following the Atlanta Falcons and I’m certainly glad that I did. I receive the latest updates regarding the team (injuries, stats, trivia, etc.) but I also stay informed during games. Now that I’m on the west coast, I can’t always enjoy watching my team play, but the twitter account gives me fast in-game updates that are greatly appreciated. Information from strangers – While recently attempting to troubleshoot a computer issue I was facing, I decided to reach out to complete strangers via twitter. If my updates are already entirely public, what’s it matter if I reach out to someone I don’t even know? Therefore, I performed a real time google search on my topic and replied to another user who was just installing the same application. Within a few hours (time difference I’m assuming), I received a reply. Didn’t solve my issue but provided me added information. Having myself enjoy twitter might still be weird for some, but I’m enjoying it. Feel free to follow me if I don’t bore you too much with my lame tweets. …or at least I think how I was able to vote multiple times for a Polldaddy, erm, poll. Quick backstory, a friend of mine was recently in a contest that required a community to vote on the best. Most votes wins the contest. Therefore, of course we wanted to vote as many times as possible but the contest was using Polldaddy which allowed only a single vote per day. That’s no fun and I assumed there had to be some other way. My first step was to see how votes were being blocked. I cleared the cache and cookies. Well that didn’t work as that would have been just too easy for anyone to do. Therefore, I began to assume it was IP based as that’s probably the best way to ensure a single vote for users, but it also prevents say a house of roommates for voting. It’s a single vote per household and not the more accurate single vote per person per day. polipo – Polipo is a small web proxy to funnel my requests through. This was my first time using it. iMacro for Firefox – This is an easy tool for scripting tasks within a browser. I’ve used in the past to vote daily in contests where I’m too lazy to navigate to the site myself. Firefox – If I’m using iMacro for Firefox, then I have to use Firefox. Torbutton for Firefox – This is another Firefox extension that I had not used before. It allows a browser to use Tor for online anonymity. wmctrl – This is a command line tool for interacting with X Window Manager. You’ll see how this is used in my bash script below. Bash – I am using linux and not the best programmer so I just used what was available to me. Please no jokes about my terrible scripts. Everyone’s learning here. Now that I have the tools, I need to write two scripts. The first script is the iMacro which is really easy to do. The second script is the one to integrate the various components. echo "Sleep for 5 seconds"
echo "Start Firefox with iMacro"
echo "Sleep for 75 seconds"
Here’s a few extra notes about setup. Not sure if it helps or not, but go into Firefox and set the preferences to clear the cookies and cache when Firefox is closed. This option is why I had to use wmctrl to properly shutdown Firefox. Killing the process, in my limited testing, seemed to not clear the cache and cookies properly. Setting up Polipo with Tor and Firefox is simple. The Tor Project even has a great guide for that. Setup a cronjob or other automated task launcher to run the bash script every 10 minutes or so. I ended up using kalarm (yes, in Ubuntu) as my cronjob didn’t seem to run and I was getting aggravated at this point and went the lazy GUI route. I did have some issues with the script not starting properly, but I attributed that to kAlarm and not the script itself. Now before any potential readers who care about this subject start attacking me, I know this solution isn’t perfect nor does it vote an infinite number of times. It seemed to be limited by the IP addresses that Tor masked me as and as Polldaddy learns what anonymous IPs exist they will begin to block them. My original goal was to figure out how to vote an infinite number of times in a day. That goal failed but I was able to at least get the 5+ votes in a day that Polldaddy was blocking for myself and roommates. Yeah, I ripped the title of this post from the infamous viral video (probably NSFW, wiki link) but it was funny and worked well here. For those who have been following me somewhat, I recently joined into a venture of sorts with friends in order to post our many movie reviews collectively under a single banner known as The Amateur Critics Guild. It was a simple idea and tons of fun to actually build the branding, especially the About page, which still cracks me up when I look at it. Anyway, back to the original purpose in this post. We needed a domain for the site and finally settled on theacguild.net because we liked the name and it was available. Mostly it was available. We only wanted to pay for the domain and not the hosting since my current site, this one, was probably only using about 30% of its full capacity. We knew we could just forward the domain and be done with it. I setup wordpress for The ACG within a new directory on my site and set the forwarding rule through my provider (1and1). The site was up and running, but one glaring issue continued to bother me as the URL of the site would always be something like “heroinc.org/theacguild/<some post naming structure>”. This may have been a cheaper route than purchasing more hosting space but I knew that I had not had this issue earlier when I had the domain apenguinandme.com. After a few bad attempts, here’s how to have it work so you can have 2 domains and 1 host (recursion anyone?). Within the domain, setup a forwarding rule. 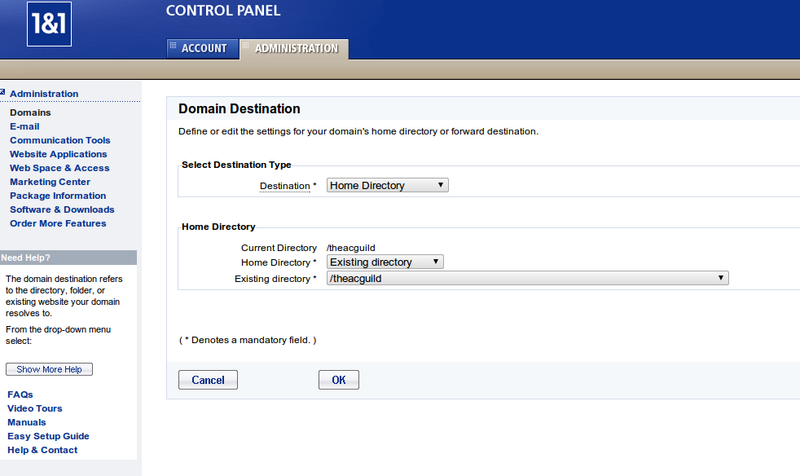 1and1 allowed me 2 options for forwarding the domain: 1) Provide a url, 2) Provide a home directory for the domain. 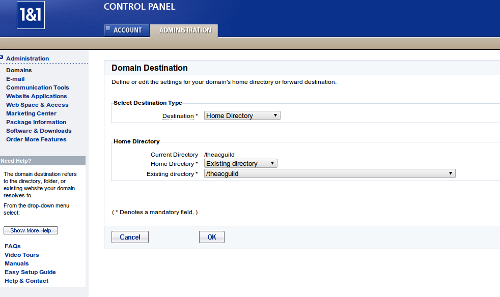 Choose the option to “provide a home directory for the domain”. Option 1 would just forward the url and you would always have “domain1.com/domain2directory” for your website. Option 2 allows for “domain2.com” and “domain1.com” without anyone needing to know the difference. I assume that the option of forwarding to a particular directory will only work if the domains are purchased from the same hosting company where the site is hosted. I could be wrong on that, but I doubt it. Now that the forwarding is setup, you are good to go. However, what if you were like me and setup the wordpress site improperly the first time? Well, good thing I did this first for you. Here’s how you correct your wordpress installation. Perform these steps during offhours for your site so that you don’t cause problems if issues come up. Backup the database associated with wordpress installation. I’m always a fan of backing up so that you can revert back to the original if things go wrong. Backup the wordpress directory where wordpress is installed. Like I said, I’m a fan of backups. Within the admin page of your wordpress installation, navigate to the Settings / General page. Change the “WordPress address (URL)”. For example, before mine was “http://heroinc.org/theacguild”. After I updated it, it said “http://theacguild.net”. Change the “Site address (URL)”. Same example as before. Mine was “http://heroinc.org/theacguild”. After I updated it, it said “http://theacguild.net”. Save the changes. The site might act up for a second but don’t worry about it. NEXT STEPS ARE DANGEROUS WHICH IS WHY WE TOOK BACKUPS. If you skipped steps 1 and 2, do them NOW. I’ll wait…. Navigate to the database for your wordpress installation. With my site, I use phpMyAdmin. Use the search function to query the database tables for the old domain name. The returned tables from the search all need to be updated to remove the old references so that all of your site links work. Using a sql query, you can do a quick replace throughout the database table. The following sql query will do the replace for you and it should be repeated for each table that was returned by the query. Just remember that the query will replace all instances and that may not be what you always need so use caution. I know that I had a post or two on the new site where I linked to my actual real site and I had to manually make those changes so not to override what my post was meant to use. Within your wordpress installation directory, search for “olddomain.com”. I believe it was within 4 of my files (404.php, header.php, sidebar.php, and style.css). Within each returned file from the search, do a find and replace to change “olddomain.com” to “newdomain.com”. Finally, in the words of the great wordpress instructions, go do something nice for yourself as you are now finished in updating your site to properly use the new domain. Here’s hoping this will help other people who made a stupid mistake like I did. While walking to work earlier this week, I happened upon a woman who was starting her day with music from the world’s most popular music player. Now I can’t guarantee it was an iPod, iPod Touch, iPhone, or whatever the next overpriced item maybe, but I can guarantee she was using those white earbuds that come with each fruity musical purchase. Now let me preface the rest of this letter that I have never been a fan of Apple. I don’t own any “i” or “mac” product nor will I. I personally believe that the products are overpriced for the functions they perform. The “mac” products are even farther away from my wallet since the extra charges for beauty can also be provided with open source (FREE) alternatives. 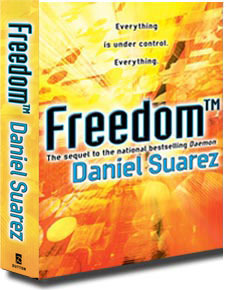 However, it is a free world for the consumer and they can purchase whatever they so choose. But with all of my negatives, I must state that Steve Jobs, good or bad, has done so much to spread the modern age of music to the world. With that being said, I believe that Steve better begin working on the next input devices for his devices that will be centered around touch, smell, or sight. Basically anything not related to hearing because all of his consumers will soon be death or at least everyone around them will be. Those white earbuds are going to kill everyone’s hearing and that’s coming from someone that loves to turn up the music loud and “rock” out. But its not good when, back to my original story above, that I could hear every lyric perfectly and the earbuds were NOT IN MY EARS. In college, I remember sitting 5 rows (yes 5 rows) away from someone using the same earbuds and the same result. Maybe there should be less iPod HiFi and more work providing people with better earbuds that actually push the sounds into the ear instead of to everyone around them. The thought might have been that if others heard the music they’d be interested in the device. Just the opposite is true. When I hear the music from 3+ feet away, I want to rip the earbuds out, stomp on the device, and promptly smile at the sound of silence. Just spend the extra 20 dollars or so and provide decent headphones. Your consumers won’t even notice the extra price since it is only a two digit number change.